Naturopathic physicians use a distinct system of primary health care – an art, science, philosophy and medical practice of diagnosis, treatment and prevention of illness. At A Family Healing Center, both doctors will approach your health condition uniquely and individually. We believe that illness does not arise randomly in the body. Every chronic illness or disease stems from more fundamental underlying causes. When these underlying sources of illness are addressed and treated, the body is able to heal itself from within. 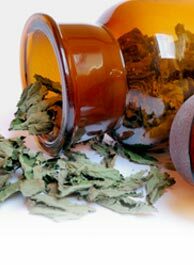 Our medicines are not simply substituted for conventional therapy to manage symptoms. Symptoms are the body’s natural attempt to deal with the underlying problems, and often serve to guide the practitioner and patient to the true cause of illness. This approach empowers patients to have a better understanding of themselves and allows them to be active participants in their journey toward health and wellness. Treat the whole person, looking beyond symptoms to the underlying cause of the illness. Focus on disease prevention and wellness. Function as teachers as well as healers. Strive to offer the gentlest interventions while promoting optimum health. The Healing Power of Nature: We recognize an inherent self-healing process in an individual. Naturopathic physicians work to facilitate and maximize this inherent healing ability. Identify and Treat the Cause: We strive to identify and remove any obstacles to healing and remove any causes of harm instead of merely suppressing symptoms of disease. First Do No Harm: We begin with the least invasive and least harmful of treatments to gently stimulate healing. Doctor as Teacher: We spend time with patients allowing them to understand the disease and healing process and how to become responsible for their own health. Treat the Whole Person: Instead of piecing apart one’s illness by symptoms, we put the whole picture together and find a treatment plan for the whole person. Prevention: We assess risk factors, susceptibility of disease, and make appropriate suggestions regarding lifestyle changes that can promote health and prevent disease. This is truly the cornerstone of naturopathic medicine. 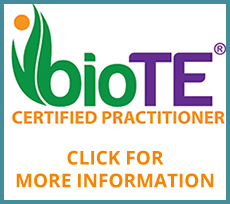 A Licensed Naturopathic Physician (ND) attends a four-year graduate level naturopathic medical school, is educated in all of the same basic sciences as an MD, but also studies holistic and nontoxic approaches to therapy with a strong emphasis on disease prevention and optimizing wellness. 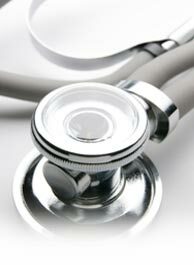 A Naturopathic Physician is board-certified and is expected to uphold the highest standards of primary medical care.